WOODSTOCK—During the long winter months, it’s not uncommon for the mind to drift toward the warm beaches of a tropical destination. While most may be unable to escape the cold, it’s not stopping the senior residents of Woodstock Terrace Assisted Living, who are currently working hard to reach the sandy shores of Cabo San Lucas as part of the community’s destination walking program. The annual activity is a three-month-long competition among residents in which they accumulate miles, or points, through various events and activities to help them reach the figurative beaches of Cabo. These activities are designed to challenge them physically, mentally and psychologically as they accrue miles to reach the beach before their neighbors do. This year, the residents are working toward a 4,000-mile goal that will conclude with a Cabo fiesta at the end of April to celebrate their achievement. For last year’s champion Emily Eaton Hood, the program provides more than a sense of accomplishment, it also gives her the opportunity to strengthen herself and make new friends in the process. Participating in these exercises helps the residents stay more alert and sharpens their minds. Through the destination walking program, residents participate in a walking club, balloon volleyball, workout sessions with a trainer, trivia games and other activities that help participants to think as well as act. Each hour spent during one of these sessions accumulates miles in each resident’s travel log and gets them ever closer to the fiesta. All the participants are looking forward to their fiesta celebration in April. When asked about winning again this year, Eaton Hood laughed a little, as she wants someone else to take home first prize this time. Though she’ll be the first to say she doesn’t plan to go easy, her competitive spirit won’t allow her to be any less than her best. The community hopes that through this program they will be able to encourage everyone — even those living outside of the community — to be active and get moving. 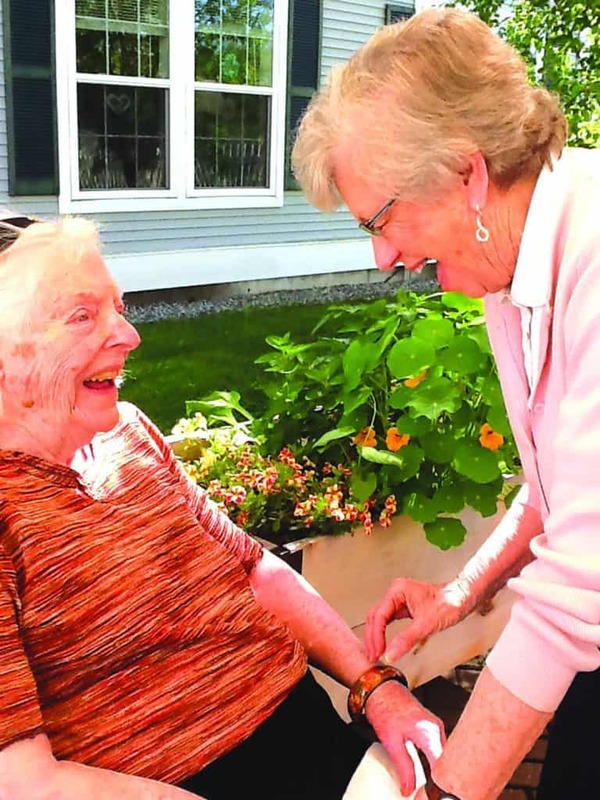 Residents of Woodstock Assisted Living discuss travel.